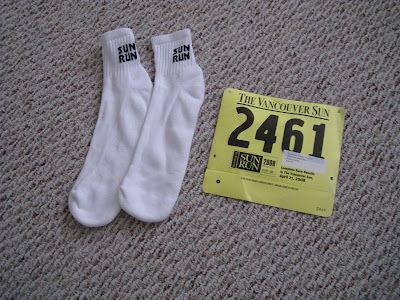 Last year's Sun Run post (which explains what the Sun Run is, among other things), is here. My goal for this year was to beat last year's time of 58:22 for the 10k. I signed up for the InTraining clinic where you go for a group run once a week and there is a set training program to follow which includes 2 other runs per week. I didn't follow the program too closely but I did manage 2 or 3 runs a week over the 13 week training program. Although the Intraining course didn't meet my secondary objective - meeting a cute, local, (on-the-road-to-being)fit, single woman :), it did pretty well with the primary objective as by my unofficial stopwatch estimate, my time for this year was around 46:45. Update: Sacha improved his time from last year as well. No word on any secondary objectives. In lieu of having anything interesting to say myself, I direct you to this interesting essay by John Quiggin on how we can increase our living standards in a sustainable manner. The Ancient Mystical Order Rosae Crucis, aka Rosicrucian Order. It's a big strange world out there.